A teenager who became unwell at a nightclub later died. 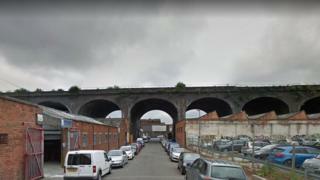 The 19-year-old was taken ill at Lab 11 in Trent Street, Digbeth, Birmingham, early on Sunday. The ambulance service, which was called at about 01:30 BST, said it found on-site medical staff giving first aid. But the man suffered a cardiac arrest and died at City Hospital. Police were investigating to establish the cause of death, the West Midlands force said. An ambulance service spokesman said: "One ambulance crew attended and arrived to find on site medical staff providing first aid to a man. "Sadly, the man's condition deteriorated and he suffered a cardiac arrest. "Ambulance staff immediately commenced CPR on scene before he was conveyed by land ambulance on blue lights to City Hospital."